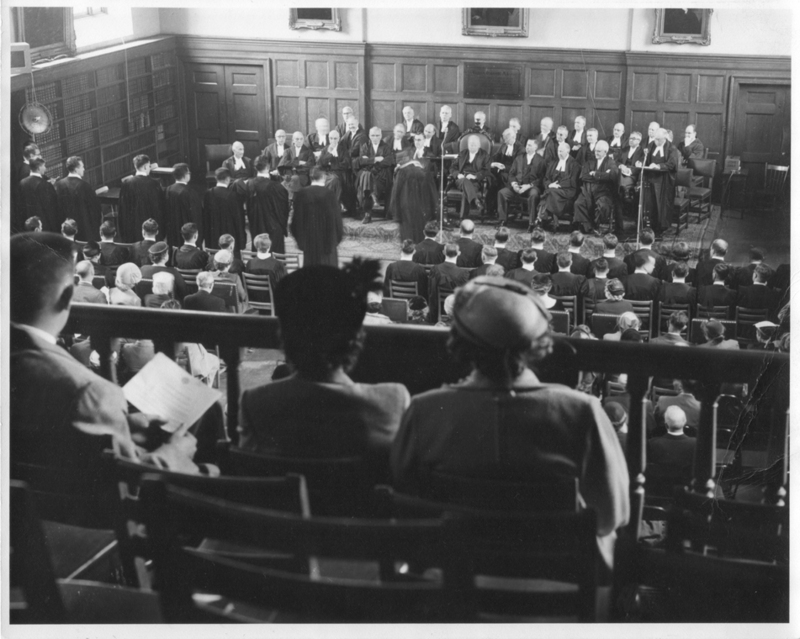 Photograph of call to the Bar ceremony, Convocation Hall, Osgoode Hall, Sept. 15th, 1955. Select a Date link to view the programme for the ceremony. Select a Speaker link to view their speech from the ceremony. 1952-09-24 Toronto Rt. Hon. Lord Justice Sir John William Morris, P.C., C.B.E., M.C., LL.D.